Just because your space has become boring, it doesn’t mean you cannot do things to add some excitement. Creating a bold accent wall is perhaps the best way to reinvigorate a dreary room. Accent walls have a way to transform homeowners’ sense of space, especially when used appropriately. They can instantly lure visitors’ attention towards design elements you always wanted to highlight. Besides drawing attention to interesting elements, an accent wall is also used to give a sense of dimension to an area. Something that proves quite useful in larger rooms when looking to create a high impact. 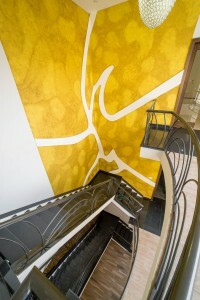 Wallpaper and paint are the most obvious choices for creating accent walls. However, the real joy of accent wall is to try out different finishes, materials, and textures that might be out of your budget, but you can afford them in small quantities. The only problem is you don’t have the expertise to create an accent wall. Look no further! AmerAdnan Associates has got you covered. The leading interior designer in Lahore has countless ideas to give your space a big wallop of design. No longer you are restricted to choosing a gallon of paint. 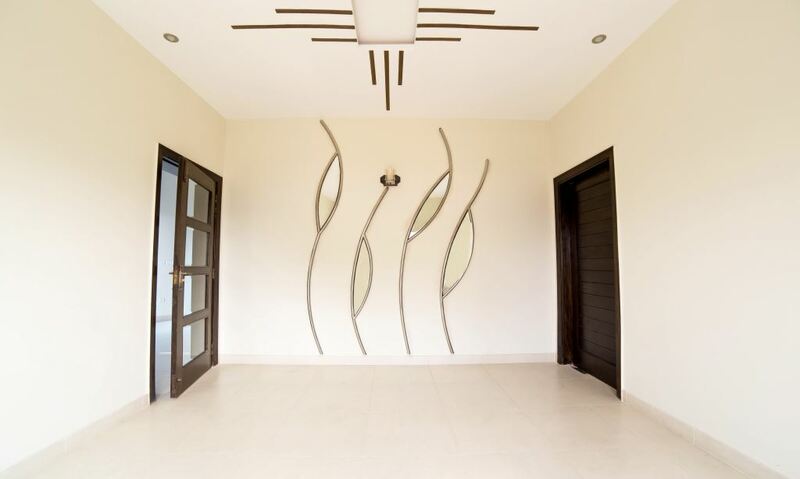 We use different wall textures and finishes to upgrade your dream houses. Here are a few options that may interest you. Accent wall with exposed bricks and wooden boxes giving this dining room a refined yet playful feel. 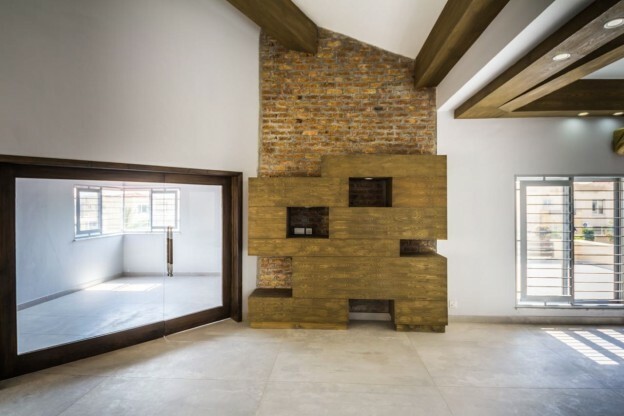 The unique rustic wall design has all the favorable elements of the mansion. 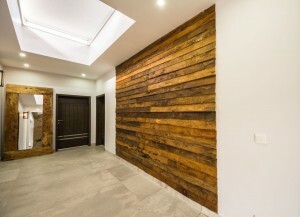 If rustic decor is what you are after, then this untreated raw wooden pallet type of accent wall is what you need. It has great depth, character, and warmth. Most of all, it offers great visual interest. The wooden pallet craze isn’t over yet. 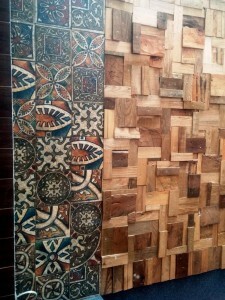 We have used these beautiful patterned tiles with wooden offcuts (from our recycling) to create this stunning accent wall. It’s hard to go wrong when using materials like tiles. The effect of these walls is completely stunning. 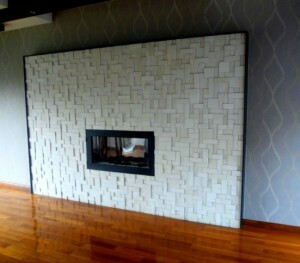 We created this accent wall with white tiles to give inhabitants a rich, sophisticated and calming view. Not much to say about this fascinating idea, except for replicating this work of art that speaks to you. 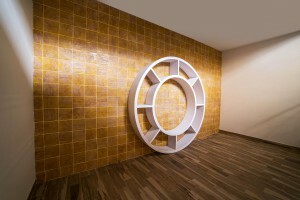 We used glazed tiles and wood to create this perfectly round whirl. Bold and Lighting. No, we are not talking about the chic, contemporary staircase. We are looking at the beautifully textured paint and white pdf vein (looks like a leaf) providing an eye-catching flash.